HomeWhy Photos to Albums app is the Best Photo Organizer App? Why Photos to Albums app is the Best Photo Organizer App? Now a day everyone prefers to save pictures on iPhone and iPad as it’s not possible to take printout of all pictures. If somehow you get printout of pictures, then you can’t carry them for always. Like thus how it would be great if you have an app that organize your pictures and create albums? Yup! There are several apps are available on iTunes store which let you manage photo albums and pictures on iPad. You can try photos to albums app for your iPad which provides several functionality to organize your iPad library. This app has several awesome features which make it differ and unique from other photo albums app. This app has several new features such as creation of photo album via GPS based location which adds another good reason for extensive photographer to use this application. Other features include amendments as photo editing, automatic folder creation, show photos on maps with information of location are stunning features that you couldn’t find in another app. 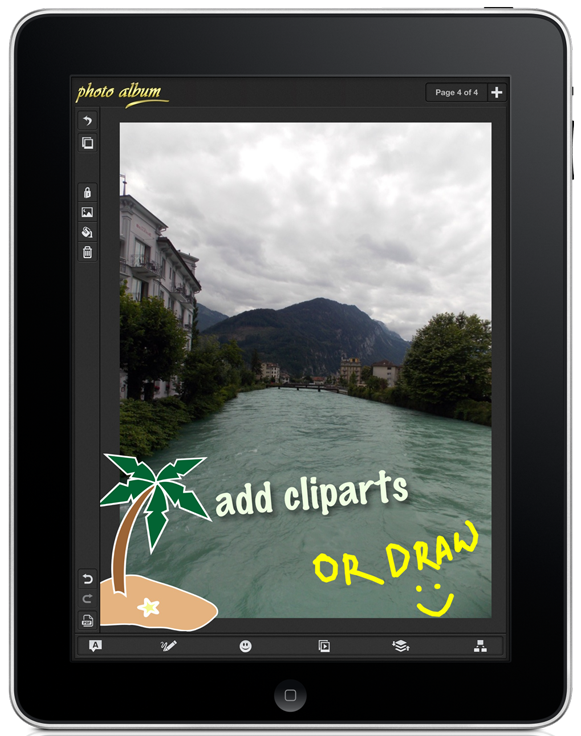 This app has unique features such as it can work as full-fledged photo organization tool. If user doesn’t want to use albums, then they can find this app very useful to manage photos and albums. Photos and albums can be sorted according to tags, date and location by using EXIF metadata. Here are listed some features of photos to albums app that you will love to have with this app. Free drawing tool to add your creativity in albums. Go crazy with paint. Manage individual layers on album page. Reorder or Edit layers with context sensitive tools.